the Keitai Goddess : OMG! 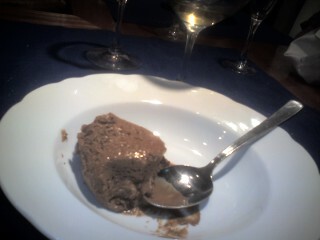 Chocolate mousse with rosemary and sticky wine! I could die happy right now but am looking forward to my next meal here.